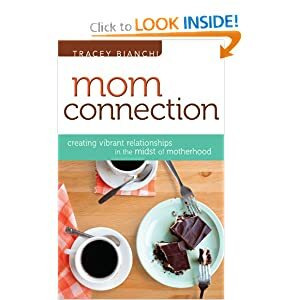 I love this quote in Tracey Bianchi’s book Mom Connection: Creating Vibrant Relationships in the Midst of Motherhood. Especially when you have kids that are similar in age, moms have a instant sense of connection over shared experiences, spilled milk, and homework. If you’ve ever felt completely STUCK with young kids at home, this is a great book to set you free. Free to pursue terrific and meaningful friendships. Free to reach out to your community with simple and memorable gestures like hosting a driveway event with 4 gallons of free ice cream to the neighborhood kids (page 146). If you crave more friendships in your life, this is a great place to start. You will get many easy, doable ideas that will connect you to others in no time.